Although one is hard-pressed to even find the word "remnant" in the index of many fine theologies, of dispensational orientation or otherwise, the theology of remnant is crucial to a proper understanding of the relationship between Jewish and Gentile believers. The concept of remnant is studded throughout the Scripture, both Old and New Testaments, and has direct bearing on no less imposing a subject than the very faithfulness of God. Remnant: The concept of remnant can be Biblically defined as that continuous portion, be it large or small, of the community of ethnic Israel which has been supernaturally preserved and redeemed through various divine judgments throughout various dispensations. This preservation is on account of God�s sovereign choice, or election, and not by virtue of human effort. Although not selected for salvation on the basis of merit, the remnant does, however, necessarily exhibit faith in the object of God�s provision and will receive ample future divine blessing.2 Those Jews who exhibit saving faith are called the remnant of Israel and are a continuous and distinct subset within the nation (see figure 1). Jewishness is defined Biblically as being a member of the nation of Israel, i.e., a physical descendent of Abraham, Isaac and Jacob. If one is a physical descendent of these three patriarchs, then he is irrevocably Jewish. One�s particular religion has no bearing on Jewishness; one can believe or not believe anything and that would not change Jewish status. Biblically, Jewishness is a matter of birth not faith, genealogy not theology, blood not beliefs. According to the Encyclopedia Judaica, there is within Judaism a parallel theological concept of "remnant of Israel" (shearith Israel) which denotes the belief that a faithful remnant would survive whatever divine catastrophic judgments were brought upon the community because of its disobedience. Shearith Israel is a popular name for synagogues, and a daily prayer is said for God to guard and protect this remnant of Israel. Seemingly every zealous sect throughout the history of Israel, often simultaneously and competitively, has seen or views itself today as the righteous remnant of Jewish believers, true Israel. The Essenes of Qumran considered themselves the true remnant, as did their contemporaries, the Pharisees, and as do the varying sects within Orthodox and Chasidic Judaism today. The theology of remnant is strewn throughout both testaments and is an essential yet often overlooked aspect of God�s program for Jew and Gentile in every dispensation, but particularly in this present age. It can be maintained that from the very beginning of His relationship with His creation, the Lord�s activity is primarily devoted to the salvation and sustenance of a series of preserved remnants from various faithless and disobedient segments of humanity who have undergone various cataclysmic judgments and disasters. God has always chosen to save and primarily work with remnants. The pattern of God�s choice from the general to the particular is played out repeatedly in Scripture. Noah � Noah�s family was a faithful remnant supernaturally preserved through a divine cataclysm on the basis of divine grace(Gen. 7:23). Abraham � From out of all the nations God sovereignly and graciously chose Abraham with whom to make an unprecedented covenant (Gen. 12:1-3). Lot � Lot�s family was a faithful remnant supernaturally preserved through a divine cataclysm on the basis of divine grace (Gen. 19:29). Isaac � Abraham had two sons, but only one was sovereignly and graciously chosen as a child of promise (Gen. 17:19). Jacob � Isaac had twin sons, but only one was sovereignly and graciously chosen as a child of promise (Gen. 28:13-15). Joseph � Joseph was sovereignly and graciously chosen in order to save the family of Israel from disaster (Gen. 45:7). A remnant of Israel was sovereignly preserved from divine judgment following the young nation�s apostasy at Sinai (Ex. 32). Caleb and Joshua were the only members of the Exodus generation to enter the land of promise, following divine judgment (Num. 14:38). Elijah was reminded that the Lord had sovereignly and graciously preserved 7,000 Israelites who had not apostasized (1 Kings 19:18). Upon the divine judgment of Assyrian conquest of Israel, the Lord sovereignly and graciously preserved a remnant from the northern tribes (Ezek. 37:19). Upon the divine judgment of the Roman dispersion, the Lord sovereignly and graciously preserved a remnant of Jews. During the divine cataclysmic judgment of the Tribulation, the Lord will sovereignly and graciously preserve a remnant (Rev. 7:4). Ray Pritz has provided a cogent analysis of the Old Testament remnant of Israel concept in relation to the Messiah. He sees a remnant cycle consisting of divine judgment and the interweaving of divine preservation of the remnant with the coming divine agent, the Messiah. This connection can most clearly be seen throughout the prophet Isaiah, particularly in the section known as the "Book of Immanuel" (Isaiah 7-12), as well as several other prophetic passages (Jer. 23:3-6, Micah 4-5 et al.). In this remnant cycle, judgment is sovereignly determined on account of Israel�s disobedience, yet the promise of sovereign intervention and eventual restoration on behalf of a faithful remnant within Israel provides hope. While it is the faithful of Israel whom God chooses to include within the preserved remnant, their faithfulness results from God�s gracious choice. God�s choice of the remnant generally has wider repercussions and benefits for the unbelieving remainder of the nation. The Bible indicates that it is on behalf of the remnant that God preserves the nation of Israel (Is. 65:8). It may even be argued that in addition to the sovereign outworking of His prophetic plan, one reason Israel has been restored and preserved in this century as a nation state is for the sake of the righteous remnant of Jewish believers enjoying the privilege of residing there. The great theme of remnant in the Hebrew Scripture finds specific reference within the New Testament. Although the actual word for remnant, leimma, only appears twice (Rom 9:27; 11:5), the New Testament is replete with inferences to the concept of God�s gracious preservation of a remnant of Israel. This is not to say that Paul is indicating that believing Gentiles are some sort of "true Israel." This concept is never indicated in Scripture. Believing Gentiles are only the spiritual seed of Abraham, not the physical seed as well. Paul is describing a purely Jewish phenomenon within the nation of Israel. He is contrasting Jews who believe and Jews who do not believe. He is saying that there is a subset of true Israel within the whole of Israel. As Zaretsky notes, "Each individual Israelite needed faith to participate in God�s blessing. Physical birth alone could provide only biological life." Not every Jew is a member of the remnant of Israel. Paul is setting up the argument which he will further develop in Romans 11, that Jewish believers in Jesus comprise the current remnant of Israel. In Romans 3:1-3, Paul asks two "teaser" questions which he will answer in Romans 9-11. He asks and partially answers, completely in the affirmative, whether in this present age there is any advantage to being Jewish. He says there are many advantages, but only lists one, that of being entrusted with the transmission of God�s revelation. The remainder of the list of advantages await chapter 9. 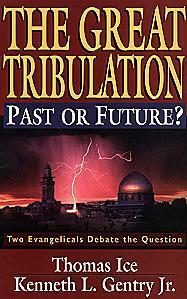 The second "teaser" question Paul poses is whether the faithfulness of God is invalidated by Jewish unbelief in Jesus. The answer to this question awaits his exposition in chapters 9-11. In the first 5 verses of Romans 9, Paul continues to answer the question posed in 3:1-3; specifically, what are current privileges of Israel�s national election? Paul has already answered that there are many privileges, but has only listed one. Now he enumerates them. In addition to being the channels of God�s revelation, the Jews are the national, firstborn son of God; witnesses of the manifest glory of God in the Temple; recipients of four unconditional covenants, which, among other blessings, grant perpetual title to the land of Israel; recipients of one conditional covenant, the Torah; a kingdom of God�s priests; recipients of divine messianic and national kingdom promises; possessors of a rich genealogical pedigree which courses back to Abraham, Isaac and Jacob; and the well-spring of the Messiah Himself. Yet with all these ongoing privileges, the majority of Jews did not respond. This might seem peculiar for those less familiar with Israel�s history. Paul calls the unbelieving Jewish people his family (9:3) and expresses anguish at their state of unbelief (1-2). Yet Jewish unbelief should not be entirely unexpected. Paul again takes up the continued potency of God�s faithfulness by teaching that it is unnecessary for every individual Jew to believe, because God has called to Himself a remnant from within Israel by His sovereign and gracious choice. He returns to the point he made in chapter 2:28-29, that physical descent from Abraham is insufficient. Physical and spiritual descent are both necessary for membership in true, authentic Israel (9:6-7). Following an illustration of the insufficiency of physical descent from Abraham alone by citing the choice of Isaac over Ishmael and Jacob over Esau (9:7-13), it is in verse 9:27, quoting the prophet Isaiah (10:22), that Paul uses for the first time that to which his exposition on Israel had been leading, the word, remnant, thereby linking his teaching with the Old Testament�s theology of remnant. Romans 11 provides the climax of Paul�s explanatory argument of proving the faithfulness of God to Israel via the preservation of a remnant. Paul is careful to refer to national Israel as God�s people (Rom. 11:1-2). He asks whether God has rejected His people, Israel. The question is phrased in such a grammatical fashion as to illicit an immediate emphatic negative answer. A response such as, "Are you kidding? No way!!! Israel, even unbelieving Israel, remains God�s chosen people. Do I stutter? For I myself, an Israelite, am exhibit A." The timeless reason is God�s previous election of national Israel. God�s sovereign foreknowledge, by definition, sustains His choices (Rom. 11:2). The reason from the present is the salvation of Paul himself (Rom. 11:1). If God had rejected Israel, what was he, with a less than stellar track record regarding the church, doing here? "If there is even one faithful Israelite, then God can be said to be faithful to his promises." The reason from the past is that God has always worked with a remnant of Israel. Paul builds this case on the example of Elijah (1 Kings 19:18). Jewish believers are simply the latest manifestation of this phenomenon. There is intensive continuity between consecutive remnant stages throughout the history of Israel. There is always a faithful remnant of Israel, large or small, majority or minority, to sustain the nation (Rom. 11:3-4). The reason from the future is that Paul�s high expectation of Jewish response to the gospel through the Gentiles indicates that God is still actively working with Israel (Rom. 11:11-15). Paul uses the olive tree (see figure 2) to magnificently illustrate his point (Rom 11:16-24). The tree itself should be identified as the traditional dispensational "place of blessing", or better, "God�s household" (Eph. 2:19), or better still, if clumsier, "a saving program�based on Israel�s covenants. "7 The roots which nourish the tree are the unconditional covenants given to Israel, prominently, the Abrahamic Covenant from which the other covenants flow. There are three types of branches, two of which are natural, one of which is unnatural. The natural branches both represent ethnic Israel, one branch of which is the believing remnant, the other, the unbelieving majority. The unbelieving Jewish branches are broken off (see figure 3). The believing Jewish branches remain. Unnatural branches, representing believing Gentiles, are grafted into the tree, God�s place of blessing, His covenantal saving program. The believing Jewish and Gentile branches adhere to the tree by means of faith in Messiah. He warns the Gentile branches not to boast against the Jewish branches that were cut off through their unbelief. Those branches are currently being "stored in water," kept moist for sovereign reinclusion at a later date (see figure 4). The tree is certainly roomy enough for every branch. It needn�t be stressed that recently engrafted Gentile branches need only look across the tree to see the mighty, ancient Jewish branches of the remnant which for millennia have been developing on the tree, original recipients of the rich covenantal nourishment. Paul provides the reason for the unnatural branches� recent inclusion in the tree. Gentiles have been saved in order to provoke unbelieving Jews to jealousy (Rom. 11:11-15). God�s cycle of evangelism is here laid out: Jews stumble in unbelief, therefore Gentiles respond to God, Gentiles provoke Jews, therefore Jews respond to God. A win/win situation is created, and God�s faithfulness to His covenant people is vindicated before the cosmos. The olive tree of Rom. 11:16-24 is the most detailed functional illustration in Scripture of the relationship of the Church to Israel and Gentile believers to Jewish believers. Ephesians 3:6 (also 2:11-19) explains that one of the mysteries of the church is that believing Gentiles are co-heirs and co-participants with believing Israel (the remnant) of the Abrahamic Covenant�s spiritual blessings. These blessings are relationship with God, salvation through Messiah and union with Him through the Spirit. Paul is sharing that believing Gentiles have been raised to the spiritual status of believing Israel and now share in many (but not all) of their privileges. Together, believing Jews and believing Gentiles are members of a newly created community which transcends yet does not eradicate their national or historical distinctions, nor their social and sexual distinctions (Gal. 3:28). Paul�s theology of remnant is seen again in Galatians 6:15-16. After again noting that the church is mysteriously a new creation of God composed of believing ethnic Jews and Gentiles (see also Eph. 2:15), he then contrasts the Jewish remnant with the Gentile believers by referring to the former as the "Israel of God." This is the only such specific reference in Scripture, but is, as has been seen, far from the sole reference to the remnant concept. Together, Rom. 11, Eph. 2:11-19, 3:6, Gal. 3:28, 6:15-16 demonstrate that Paul views the maintenance of separate cultural identities as essential to proving the supernaturally unifying nature of Christ�s work.